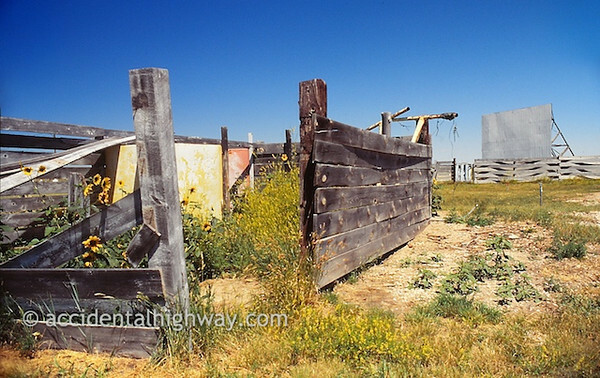 This entry was posted on June 1, 2011 at 8:48 pm and is filed under Lost Highway, Nebraska. You can follow any responses to this entry through the RSS 2.0 feed. You can leave a response, or trackback from your own site. K: So evocative. I’ve seen versions of this scene all over small towns in the Midwest. Great shot. Driving to/from Cleveland this weekend, we passed a couple drive-ins that we’d shot years ago. It’s interesting (tho not at all surprising, of course) how the scene changes depending on the light and the time of year. I think the above is a rare example of a successful high noon-type of shot. Usually my preference is beginning or end of the day.